Ahhh 2009, we barely knew ye. We’ve haven’t quite lived the full 365 days with you; however, you have provided us much in the way of enjoyable music to delight our ears. More than 25 years into their career, who could have expected such a monumental album to come from one of Canada’s most loved bands? With sixteen tracks spread over two discs, this is easily the closest thing to perfection in their storied catalogue in the past decade. And that’s no small feat. 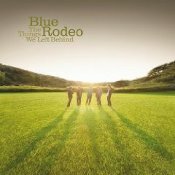 The Things We Left Behind is the perfect way to rekindle your love affair with one of Canada’s best bands. I had initially pegged “Wilco (The Album)” the album to be my record of the year. And while Wilco delivered a solid record with their latest album, it didn’t stand a chance when released in the same calendar year as this live DVD. I dare you to watch “Via Chicago” and “Shot In The Arm” from this DVD and not be instantly awed by the band’s performances. If you have the chance to take in their Halifax show in March 2010, I would highly recommend it. Although I was initially taken back by a perceived inaccessibility in Mutemath’s new batch of songs, repeated listens of Armistice opened my ears to the dense layers of sonic goodness that was to be had. Is it math-rock? Alt rock? Whatever you want to call it, Armistice is a remarkable record and worthy of hearing for yourself. Is it technically cheating that The Skydiggers make this list based on a retrospective? Regardless of whether it is or not, The Skydiggers are a band that has yet to truly be given their due success in Canada or beyond. 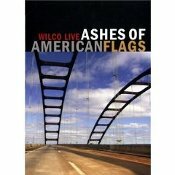 After 20 years in the business, I dare you to argue that point after listening to this phenomenal collection of songs. Without question, Mastodon’s Crack The Skye is the heavy metal album of the year. With a compelling mix of heavy metal, thrash metal and some progressive metal, the group delivers seven impeccably tight tracks on their latest record. The musicianship is mind-bogglingly great and helps to show metal bands of the future what they have to live up to.